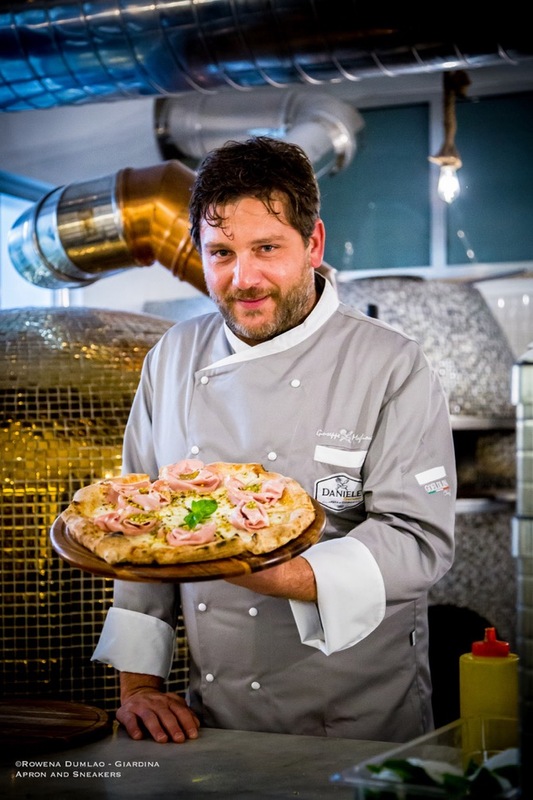 After all the years (he was born in 1978) of dealing with the traditional Neapolitan pizzas, he decided to experiment another road in giving the historical recipes a new light. 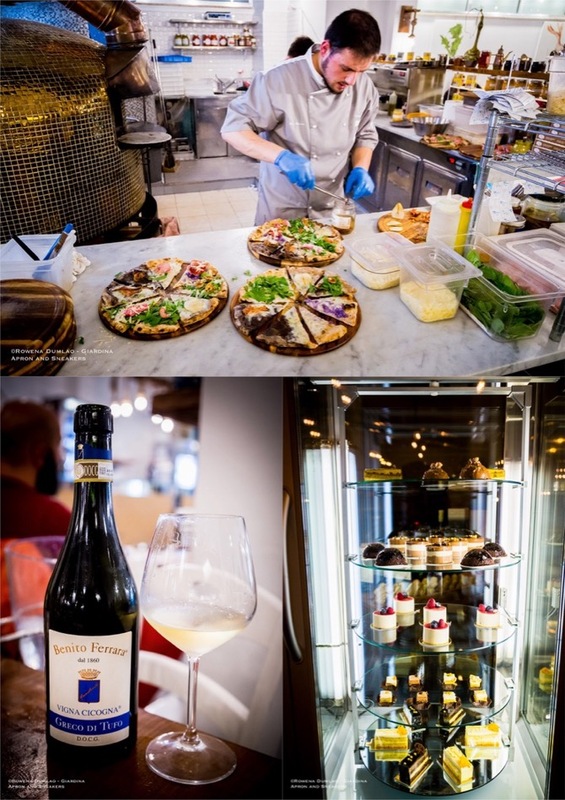 So from 2016, he started inventing new combinations using the best ingredients Italian ingredients especially from the region of Campania. 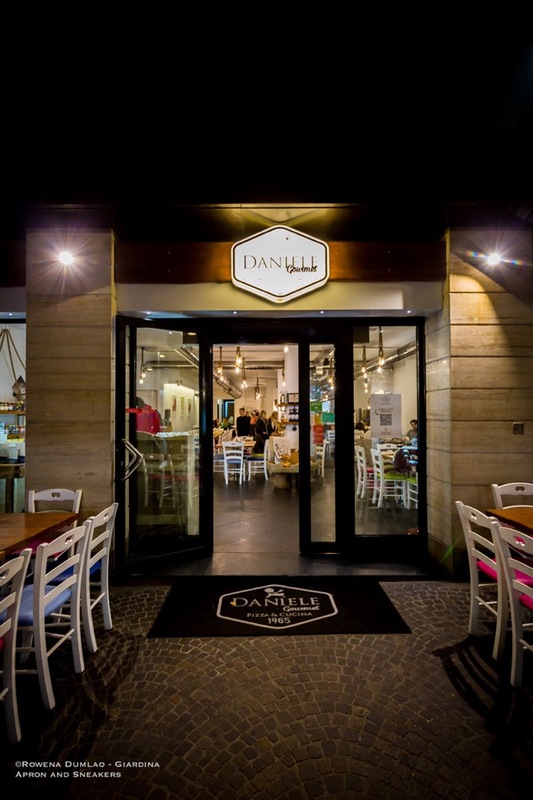 Giuseppe Maglione's Daniele Gourmet was finally born. 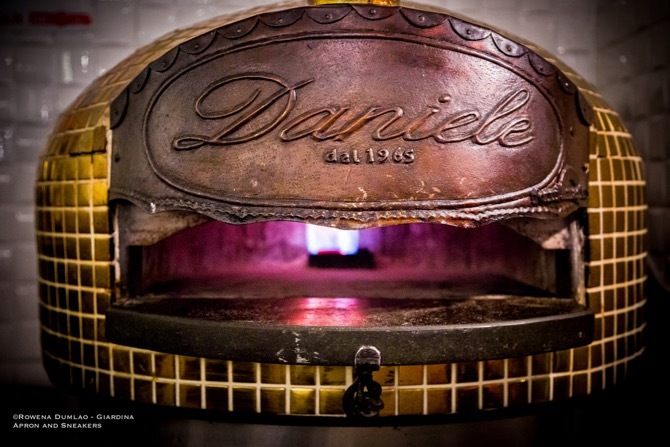 You can have as much pizza as you want at Daniele Gourmet without feeling too full. 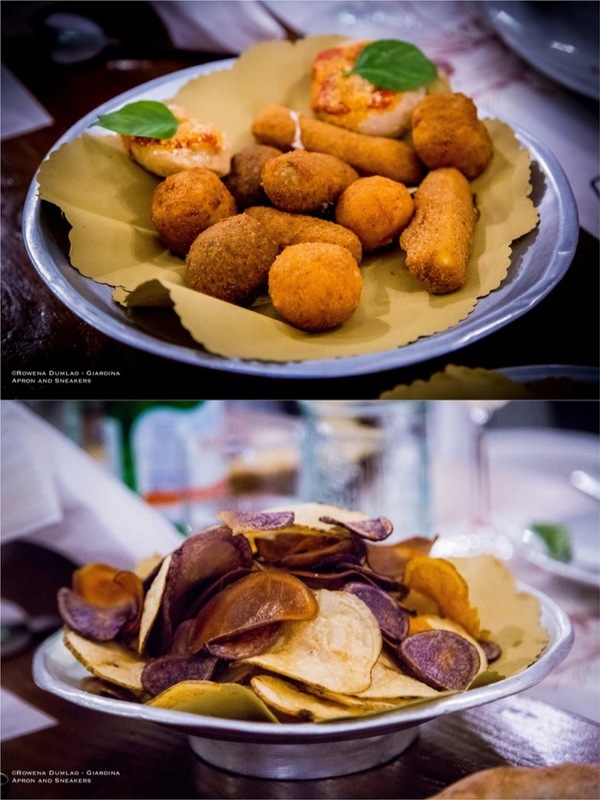 After a dinner of six pizzas, a plate of fried potato chips, a variation of fried arancini, potato croquettes and mini pizzas paired with two small bottles of biological cola and three bottles of wine divided among five women, you would think that we needed to be rolled out of the restaurant afterwards nor not feel hungry for a long time. Quite the contrary because we walked out completely satisfied with the dinner and immediately digested our pizzas. 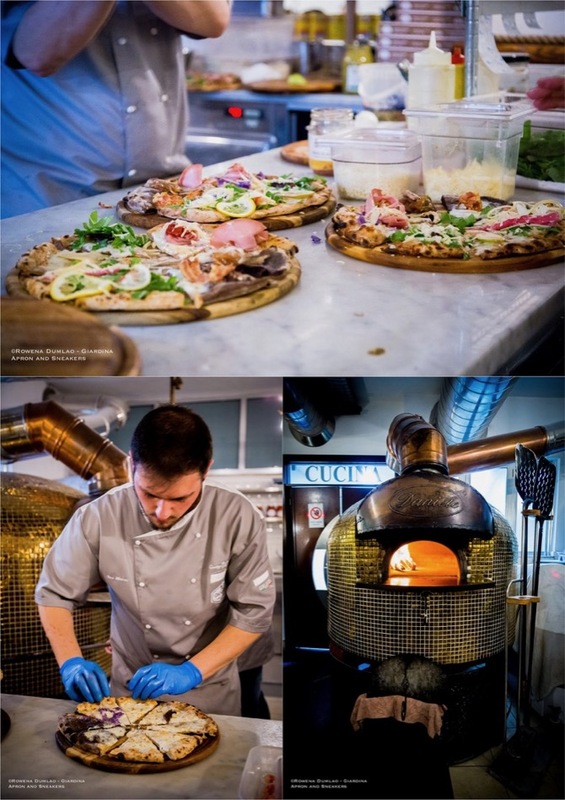 To make his pizzas highly digestible, Giuseppe uses only type 2 flour (except in the specially-flavored doughs mixed with other flours) in the dough with a 36-hour leavening at a controlled low temperature. 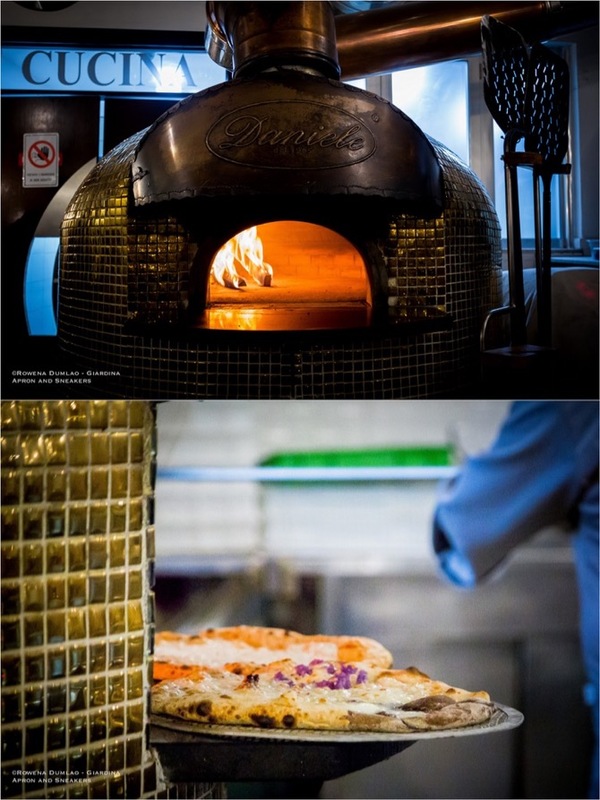 They are quickly baked in a big wood-fired brick oven. The result is slightly thick with just the right crisp outside and soft inside and they remain like that even after they cool down a little bit on the table. 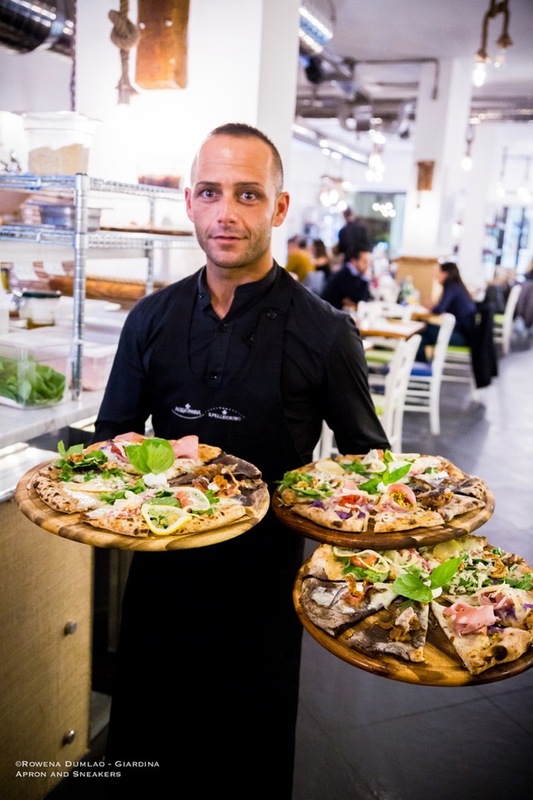 The toppings of his pizzas come from different trusted small artisan producers in the area of Avellino, the rest of the Campania region, as well as from other Italian regions. 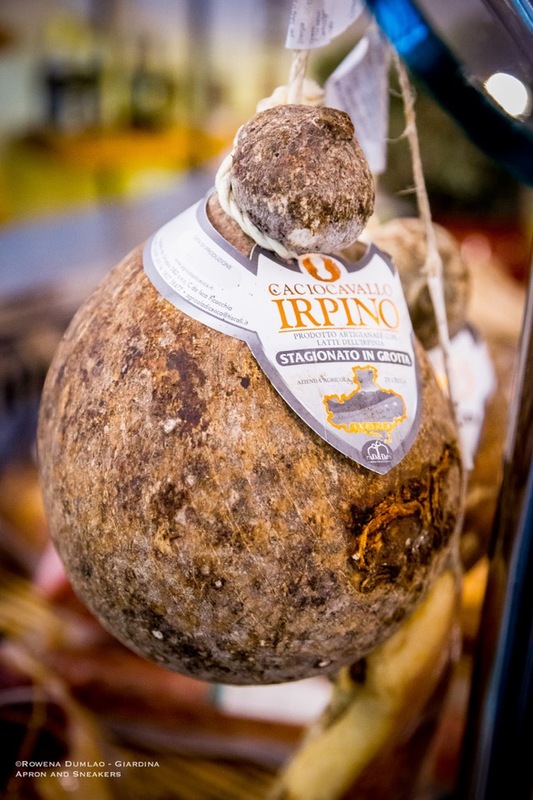 Imperative attention is given to the high quality of the ingredients which is they lean towards the freshness and seasonality of the fresh materials, and the high standard of the conserved products. 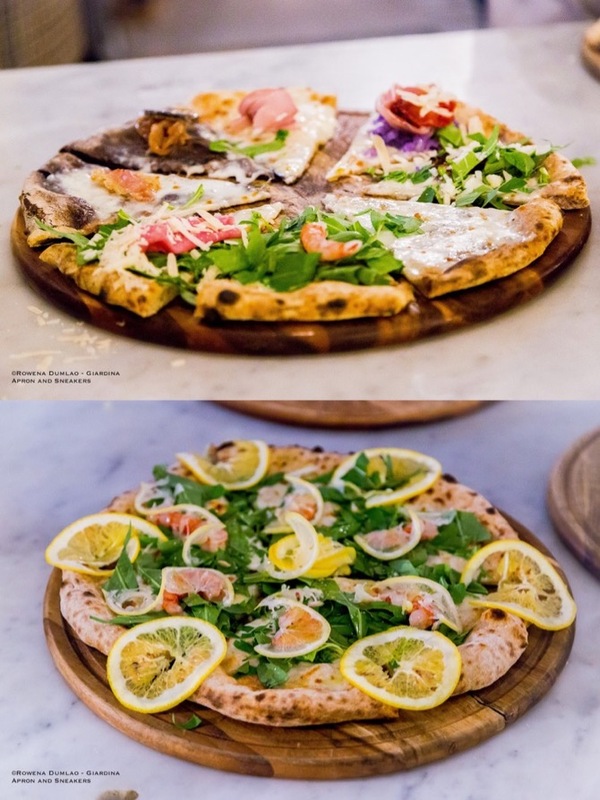 With this in mind, some of the pizzas may not be available when the fresh ingredients are not in season. 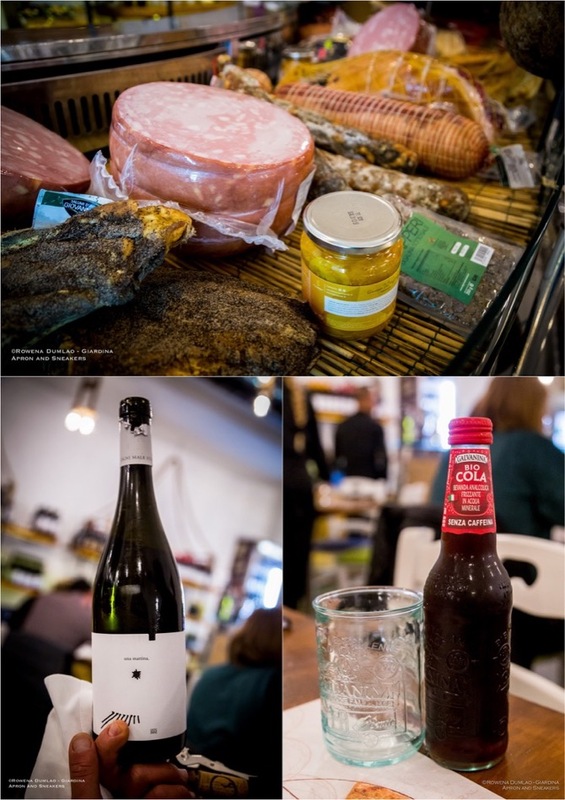 Absolutely no frozen ingredients are used as well as artificial preservatives and colorants including the drinks like the biological cola and beer produced by artisan producers. 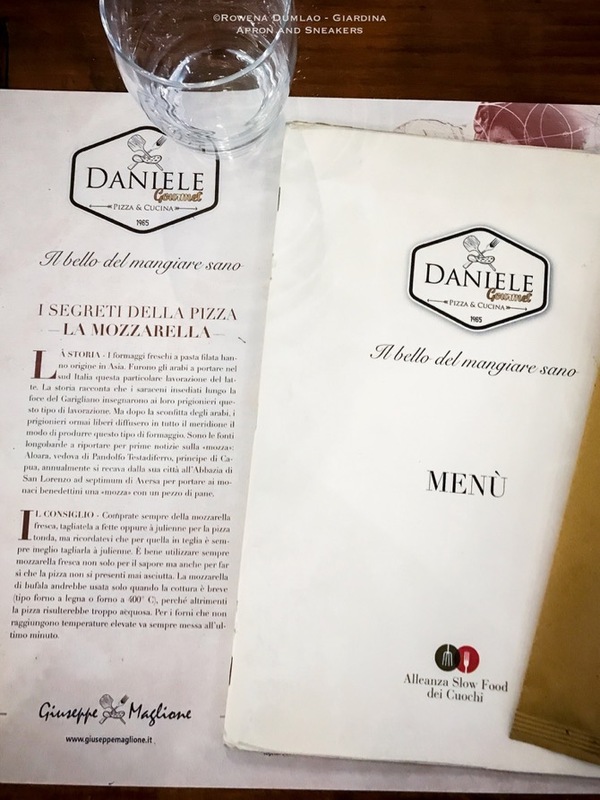 In the menu you can find a couple of the most famous and simplest traditional pizzas which are the Napoletana at €4.50 and three kinds of Margherita wherein the varieties of tomatoes and cheese used differ, priced between €5 to €7. 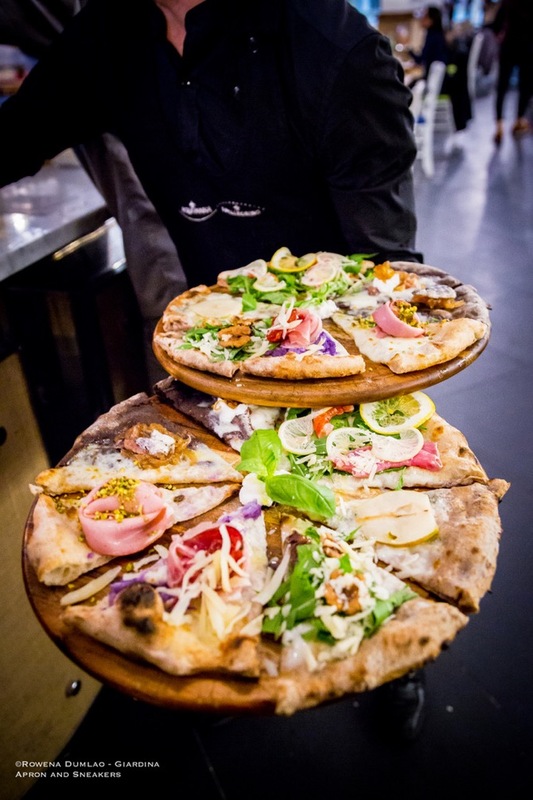 Then the list of gourmet pizzas begin from €7 to €15, as well as €20 for the Termidoro which are topped with scampi tartare, mozzarella di bufala, almonds and zucchini blossoms. 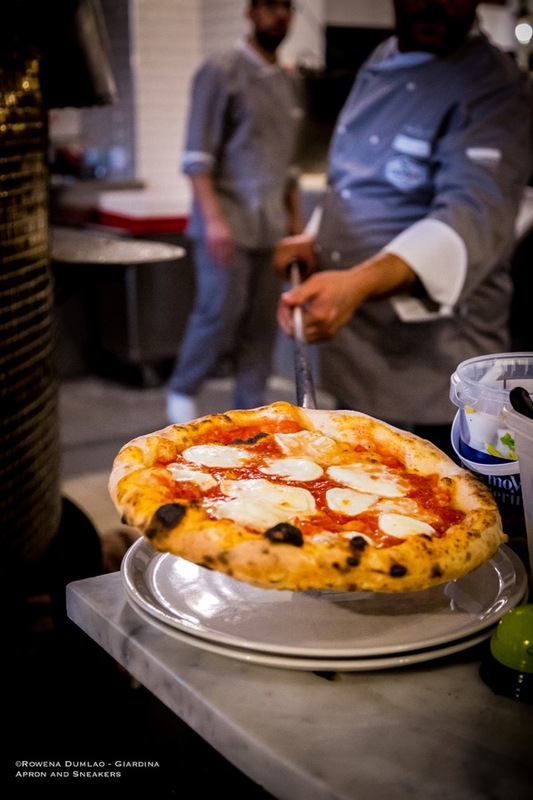 The Vesuvia (€7), simple and fresh, composed of piennolo del Vesuvio (pomodorini Vesuviania), fior di latte, ricotta, fresh basil and extra virgin olive oil is a great choice if you want to taste a well-done simple Italian pizza with classic flavors. 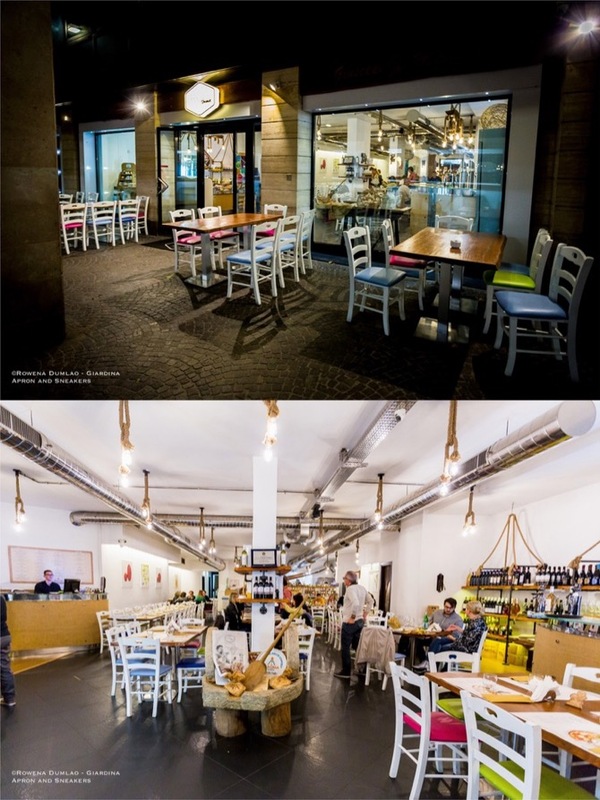 Diva (€13) is particular with its burrata di bufala, longfin tuna and caramelized Ramata di Montoro onions. 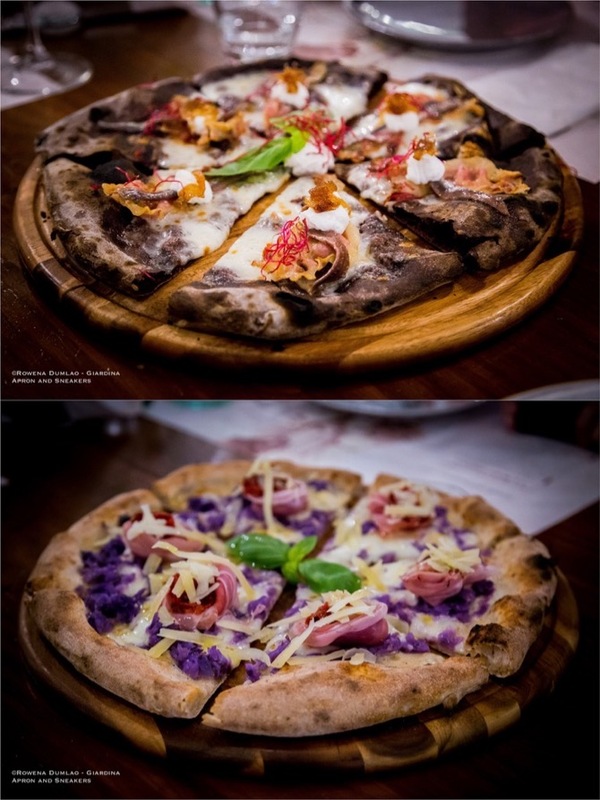 Violetta (€12) is an explosion of colors due to the purple potatoes used, fresh basil, speck of Alto Adige, smoked provola, caciocavallo cheese and confit of piennolo del Vesuvio. 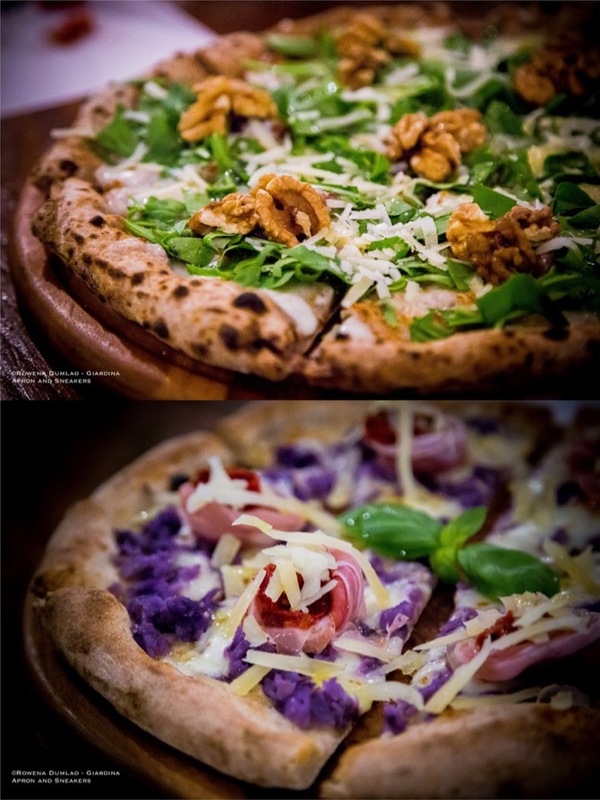 Aside from the diverse gourmet toppings, it’s interesting to know that Giuseppe also makes flavored pizza doughs of chestnut, cocoa and lemon. 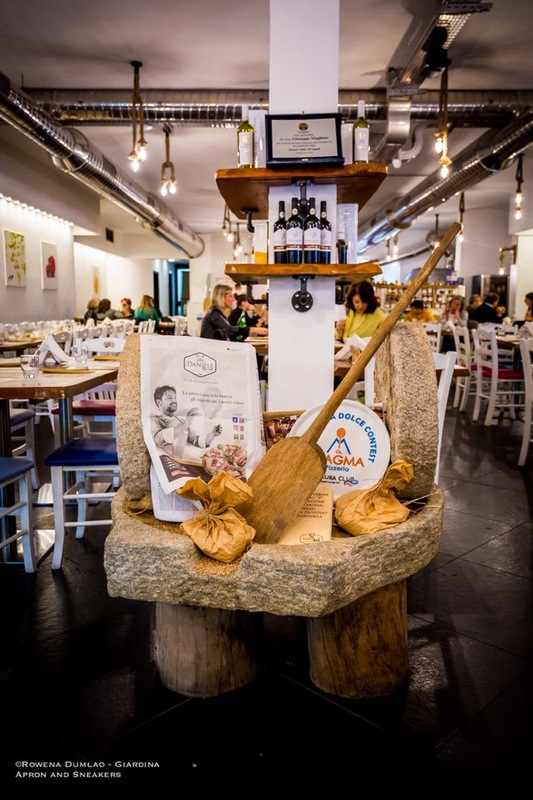 The type 2 flour is mixed with a small percentage of different flours like the chestnut flour obtained from chestnuts of Montanella, a protected geographical designation of Irpinia, cocoa flour and fine biological lemon zest in the crust. 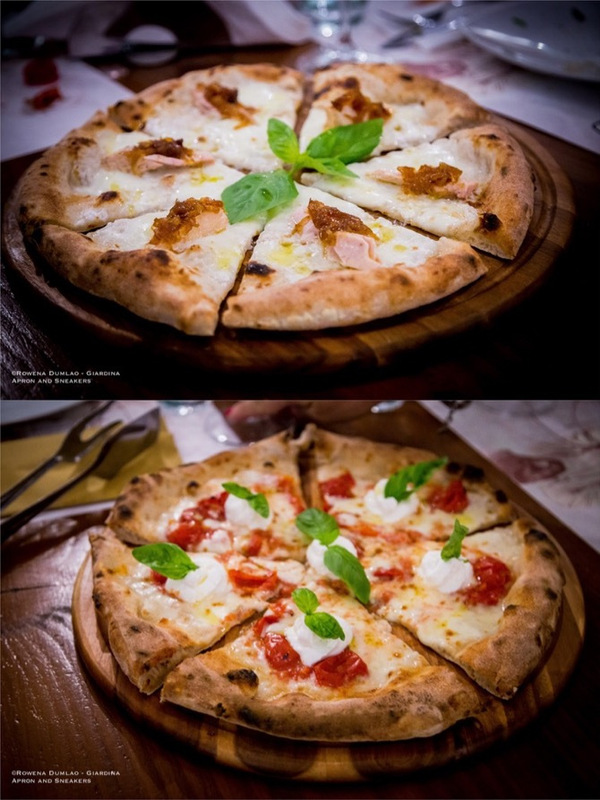 All three flavored crusts are very interesting to try especially the Gamberi e Agrumi (€15), pizza with lemon crust topped with fior di latte, raw Mazara del Vallo shrimp, and very thin slices of lemon. It's a blast of sunshine! Perhaps after a dinner of pizza, a pizza dessert is overdoing it but do give this new entry a try. 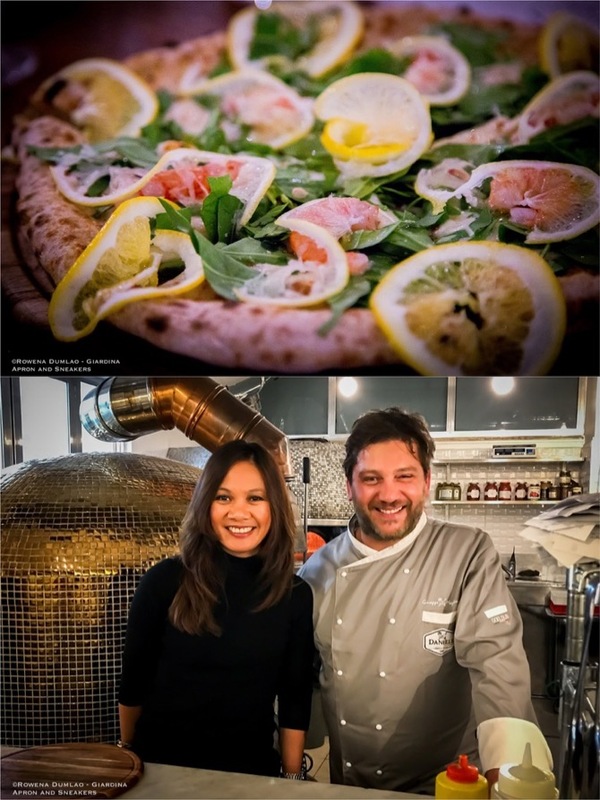 The "Falling in Love with Vesuvius" won first prize last October 2018 in the Pizza Dolce Contest in Campania. 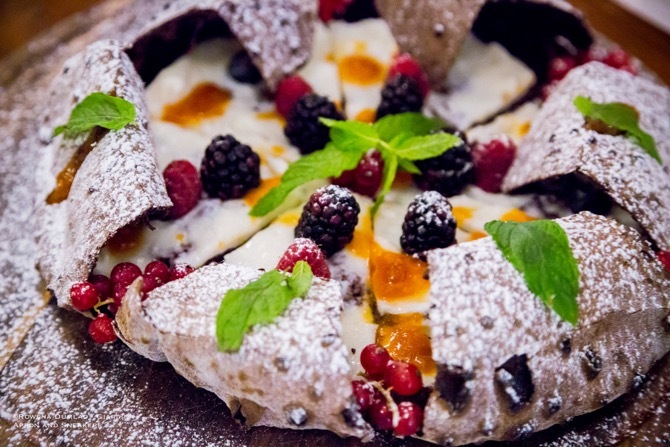 Shaped like a volcano, the cocoa-crusted pizza is dedicated to the products of Campania which are the crisommola or the apricot variety from Vesuvius which are used in the jam, butter cream, fresh wild berries and mint. 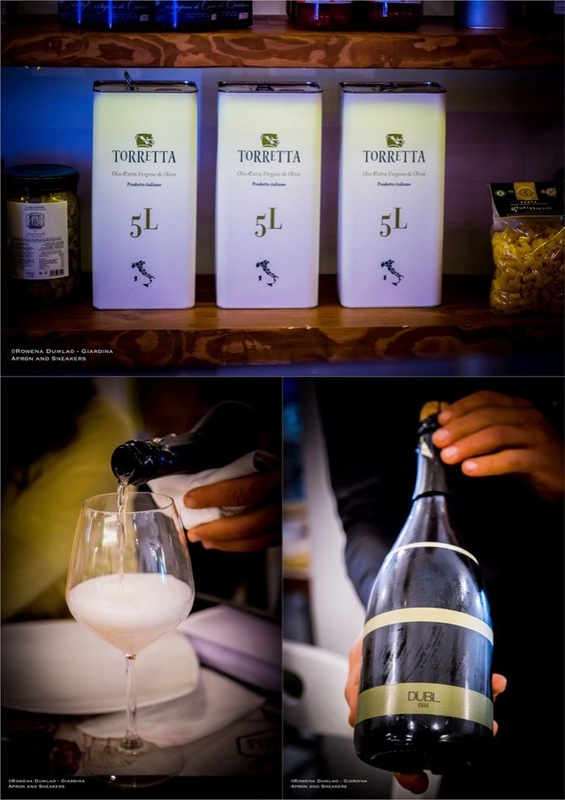 Like the name it has, it is an explosion in the palate!